is classified an SAB(rs)bc barred spiral that exhibits strong star formation. This intermediate ﻿﻿spiral ﻿﻿galaxy is located some 40,000,000 light-years distance from Earth. 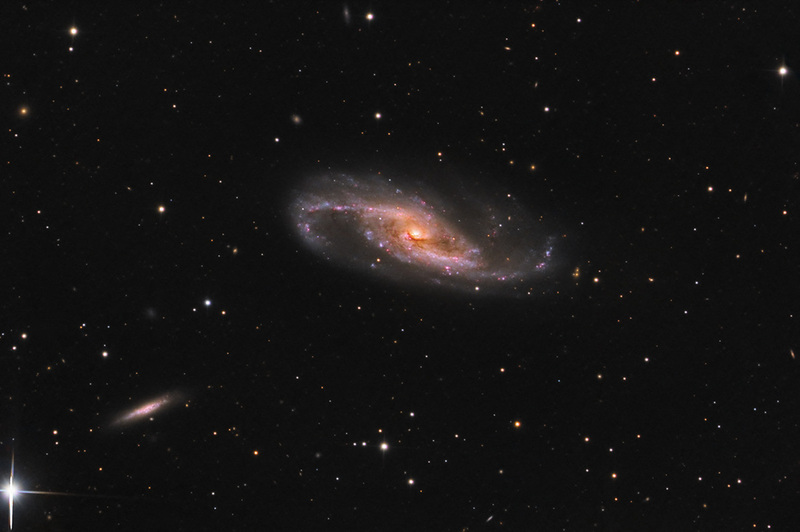 The small, edge-on NGC 4533 appears at lower left. The data was acquired at SSRO.